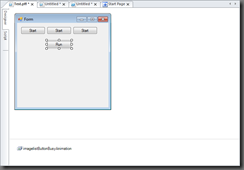 In the service release blog article we mentioned a new Control Set option for PowerShell Studio 2012 v3.0.4. In this article we will detail this option and how to use it. When creating a control set you now have a new option that you can apply to non-visual controls such as ImageLists, ErrorProviders, etc. 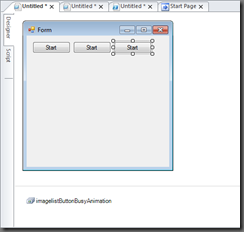 The “Use Existing Type (Match Name)” option functions similarly to the “Use Existing Type”. The difference is that that option will only use the existing type if the name of the non-visual control matches the name defined in the control set. Refer to the PowerShell Studio: What’s New? (Part 3) blog article for more information on control sets and the “Use Existing Type” option. Why use this new option? Use this option when the same non-visual control will be used by multiple instances of your control set. 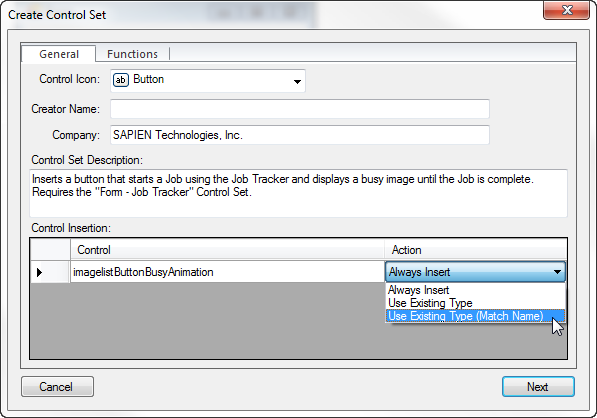 For example, let’s look at the new version of the Button – Start Job. 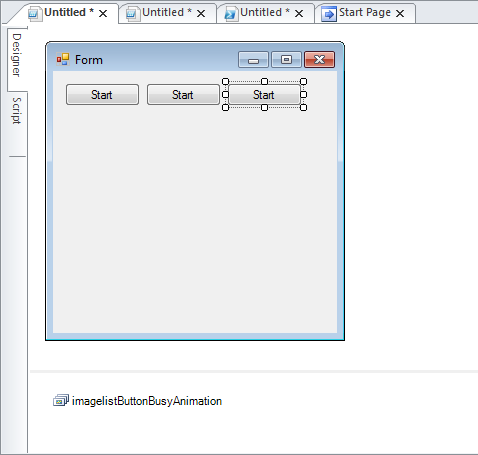 This control set consists of a button and an ImageList which contains the images used to display a busy animation when the button is pressed. It doesn’t make sense to insert multiple instances of the same ImageList, since all the button instances will use the same exact image frames to animate the button. Therefore when I created the control set, I set the ImageList’s insertion action to “Use Existing Type (Match Type)”. Using the “Use Existing Type” (Name Matching)” option helped create a cleaner and leaner form. 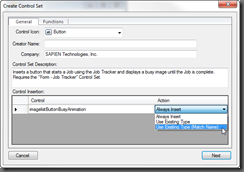 Only one instance of the ImageList is used by all the Start Job buttons; whereas the “Always Insert” option inserted a copy for each button. Furthermore, we can use the “Name Matching” option in conjunction with other controls sets. 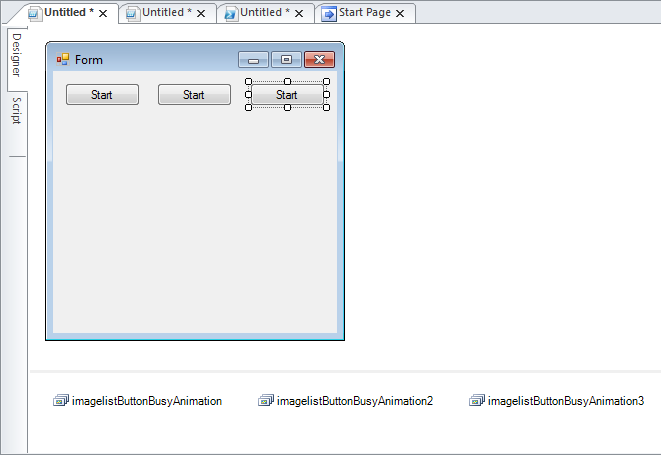 For example, if you insert the “Button – Run Process” control set, it will also use the same ImageList to animate its button. When using the “Use Existing Type” (Name Matching)” option, it is highly recommended to use a unique name that will not conflict with another control set. 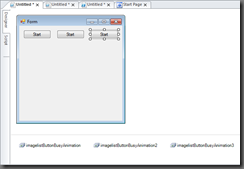 For example, never use the default name such as “imageList1”, instead use a descriptive name like “imageListButtonBusyAnimation”. Hopefully you will be able to put the new option to good use when creating your own custom control sets.